Safety should not be an afterthought. Make sure that you take advantage of every opportunity to remind workers about safe workplace tactics. 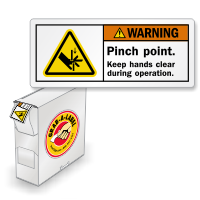 ISO ANSI Warning Pinch Point Keep Hands Clear During Operation Labels make it easy to put powerful reminders in all the right places. Compare our labels with the competition and notice how our improved artwork and design give you a label with greater impact and more staying power. • Measuring 4 mil in total, the label consists of 3 mil thick polyolefin film and a 1 mil thick clear polypropylene overlaminate. 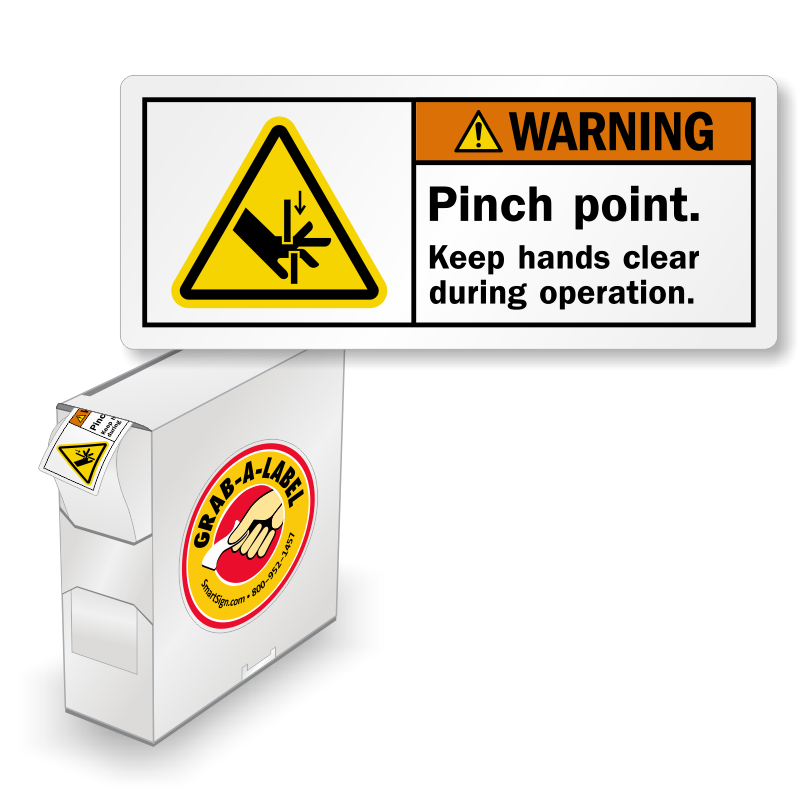 Labels are RoHS compliant. • Polyolefin is waterproof, tear and grease resistant, plus it tolerates temperature fluctuations. The polypropylene laminate adds an extra level of protection, guarding against acids, chemicals, oils, abrasions, and can be wiped down easily, without defacing the print. • The drum acyrlic adhesive is highly aggressive and sticks well to painted metal, labware, containers, plastics, shipping boxes and more in all types of weather conditions. • Labels have a service temperature of -65 to 200°F and a minimum application temperature of -10°F. • Labels are flexographically printed with permanent inks. • The material is conformable, making them suitable for rounded surfaces. These labels are easy to see and easy to understand. We needed these labels quickly and had them in our hands in two or three days - we will definitely use MySafetyLabels again! works just like I'd hoped. 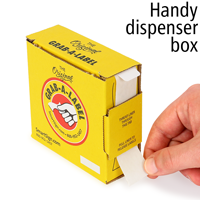 Small compact and easy to carry around. 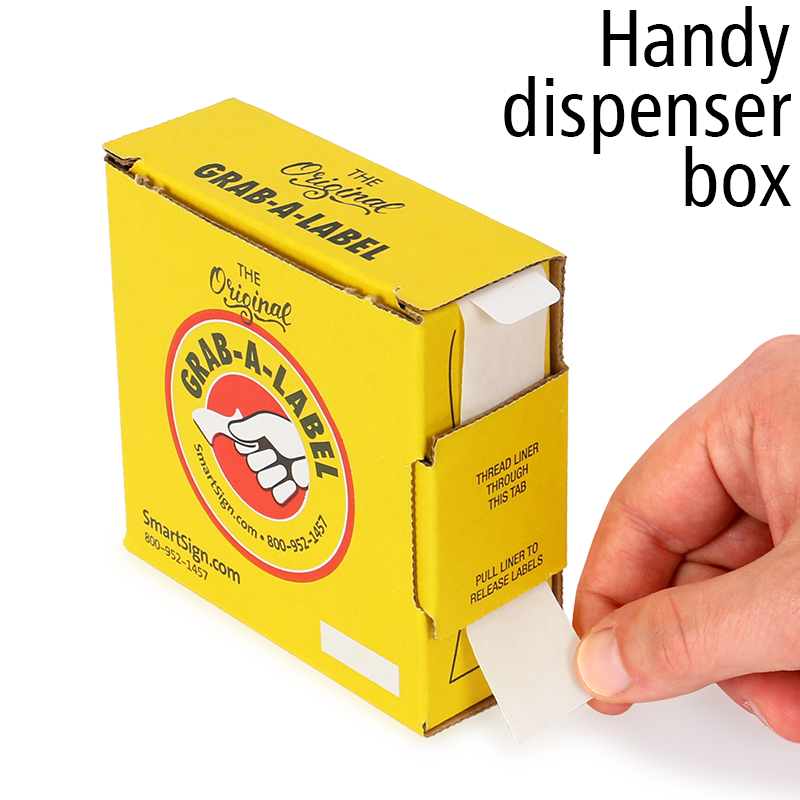 Having the labels in this dispenser makes it easy to carry them onto our shop floor and utilize them. We appreciate the attention to detail that has been put into the label as well as the container. Thank you!